In my previous post regarding my "Routine Skin care Regime" i mentioned Innisfree Green Tea Serum and Cream. I have been using the two in combination for almost 2 months now. 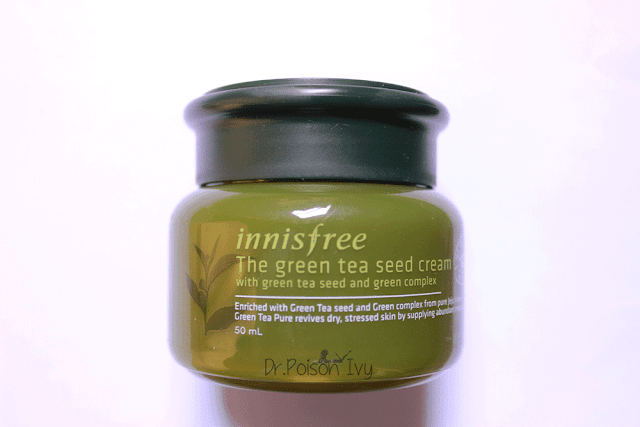 Today i will be reviewing the Innisfree Green Tea Seed Cream. It comes in an Olive Green tub. A lot of us find dipping fingers repeatedly unhygienic. I would suggest you either use a spatula or just take out sufficient quantity at one go. I tried it during the summer but found it a little too oily. So i waited till the cold dry season set in and realised that it is perfect for this weather. Inspite of being creamy it gets absorbed readily leaving the face soft and supple. The moisturizing effect is instant and it keeps me hydrated throughout the day when used in combination with the serum. 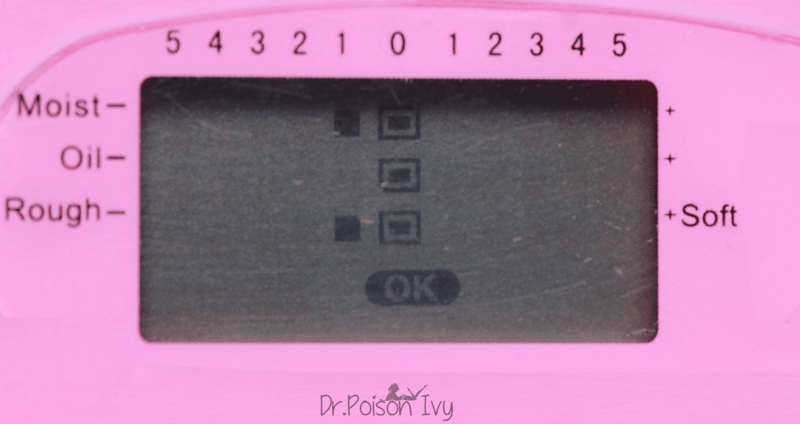 Before application, the skin readin shows Moisture,oil and Roughness is on the negative side. 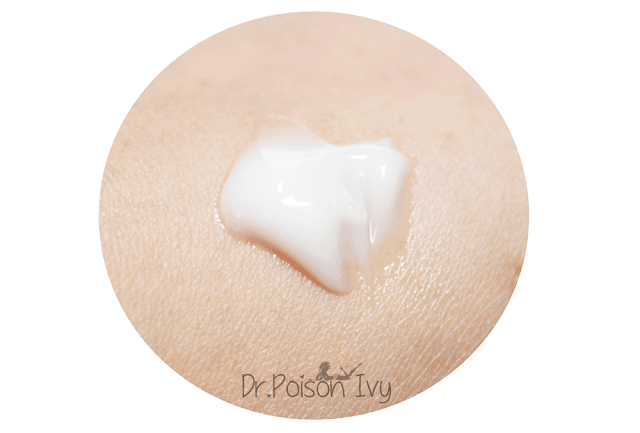 After application, the moisture and softness increases drastically. Rarely needs re-application but on days when i feel my skin is too dry i re-apply. It also makes applying my BB creams easier-spreads smoothly. 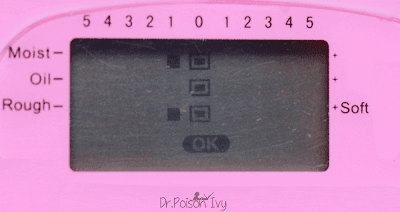 Since the day i started using them i have had just 1 zit in 2 months. So i guess the anti-oxidant property is a big plus. 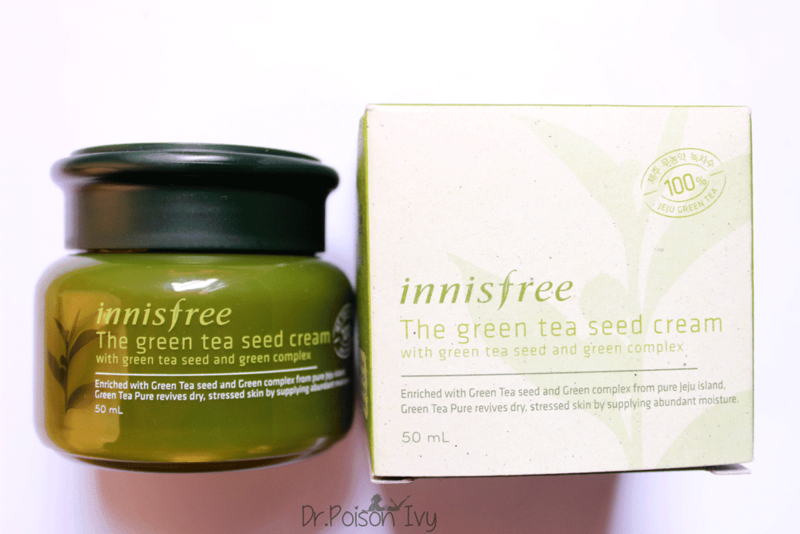 i'm totally in love with the range and when extreme Delhi winter sets in i'm going to include the Innisfree Green Tea seed Oil in my regime. If you have combination skin like me than this is a "winter must have". Sounds like a lovely products :) great review! 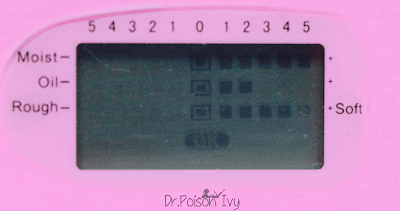 I would love to try this product! It sounds amazing! 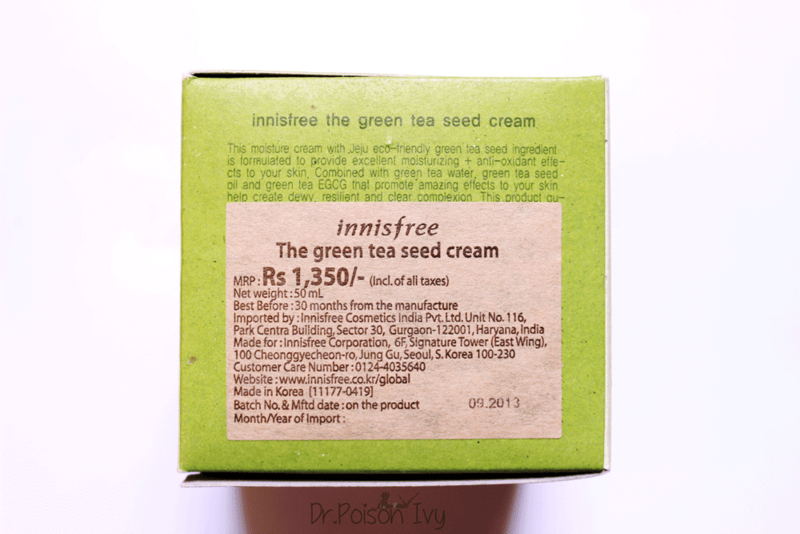 Innisfree is a boon to indian skin. 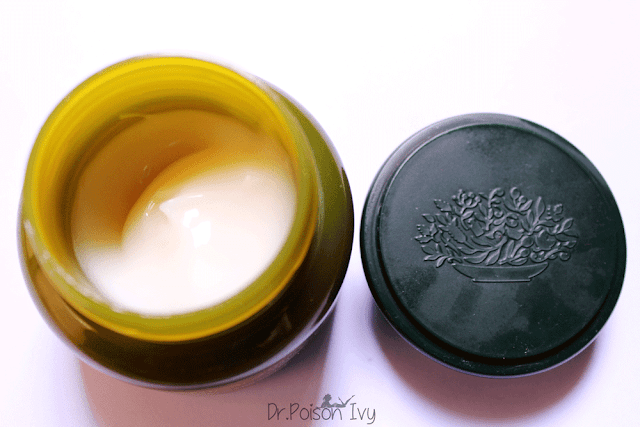 Most of the products suit oily skin too! I am waiting for them in mumbai! This is about the green tea product.This above shown lotion is produced from green tea seeds.It keeps the body skin soft and brings glaze.